Telstra is preparing to sell one of its most substantial city landholdings, representing one of the largest development offerings in the east end of the Melbourne CBD in more than a decade. Commercial real estate agency CBRE has been exclusively appointed to market the 4,164sqm corner landholding at 308 Exhibition Street, which spans almost an entire city block, with major frontages to Exhibition and La Trobe streets. The site benefits from unrestricted views over the Carlton Gardens and the iconic Royal Exhibition Building. Charter Keck Cramer is representing Telstra as Transaction Advisor. The land forms part of Telstra’s Exhibition Telephone Exchange, which was originally constructed for Telecom in 1982. The improvements comprise a series of smaller office buildings and associated amenities. Telstra has decided to divest the area surplus to its operational requirements. CBRE Senior Director Mark Wizel said; “Whilst a number of active offshore Asian developers have made their mark on the Melbourne skyline, a number of larger players have been waiting for an opportunity of this profile for many years. Mr Wizel said the property offered the potential to accommodate a major mixed use development, which could comprise a range of uses, including residential, hotel and retail accommodation, much like the complexes being developed in prominent Asian cities. 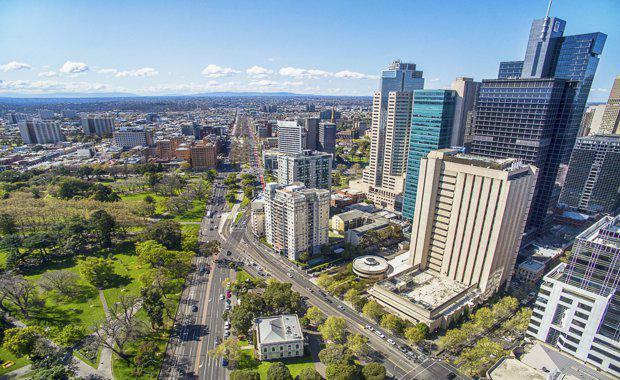 “This particular pocket of the city has been starved of quality built form outcomes for years and the future buyer has the opportunity to potentially redefine the north-eastern gateway to the Melbourne CBD,” Mr Wizel said. CBRE Senior Associate Director Josh Rutman noted that the sales campaign was expected to generate significant interest from a range of local and offshore developers seeking to secure a landmark opportunity within Melbourne’s CBD. “It has been a very long time since the market has seen an opportunity of this scale and quality. Securing a footprint of this magnitude in a premium CBD location will be of particular interest to offshore developers, with the site offering multiple development options beyond a standard office or residential tower in isolation,” Mr Rutman said. “The unparalleled significance of this premier site will culminate in what we expect will be the strongest and most competitive sales campaign in Melbourne for 2016,” Mr Rutman added. The property benefits from a high profile position, offering expansive, uninterrupted views to the north across Carlton Gardens - a unique offering that Mr Rutman likened to sites overlooking New York City’s Central Park. “Being positioned immediately opposite the Carlton Gardens will be a key selling factor, enhancing its appeal with a broad range of groups, including six star hotel operators,” Mr Rutman added.